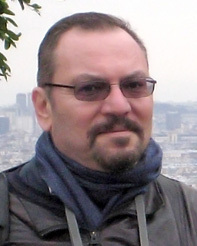 Igor F. Tsigelny is a Research Professor at the Department of Neurosciences, San Diego Supercomputer Center, and Moores Cancer Center. He is a world-known expert in structural biology, molecular modeling, bioinformatics, and structure-based drug design. He received his M.S. in Electrical Engineering from the Technical University in Lviv (Ukraine). He has a Ph. D. in Physics of Polymers from the Academy of Sciences of Ukraine. He was a postdoctoral fellow in the University of California in the laboratory of Susan S. Taylor from 1992-1995. Dr. Tsigelny is the author of over 200 papers in scientific journals including the Nature and Science groups of journals, and Proceedings of National Academy of Sciences of the USA. He had published and edited 4 scientific books. The book “Protein Structure Prediction: Bioinformatic Approach” that he edited, has been called “The Bible of all current prediction techniques” by BioPlanet Bioinformatics Forums. He is a member of editorial boards of over 10 scientific journals. He has around 15 existing and pending patents. Three drug-candidates developed by Dr. Tsigelny for treatment of Parkinson’s disease, brain cancer, and hypertension are licensed by UCSD to pharmaceutical companies and are in various stages of development His computational study of molecular mechanisms of Parkinson’s disease has been included in the US Department of Energy publication “Decade of Discovery” where the best computational studies of the decade 1999-2009 have been described.